Every once in a while there is a project that presents itself that is a bit over the top, and I hesitate to start it because I sense it will take on a life of its own and consume more time than it should. 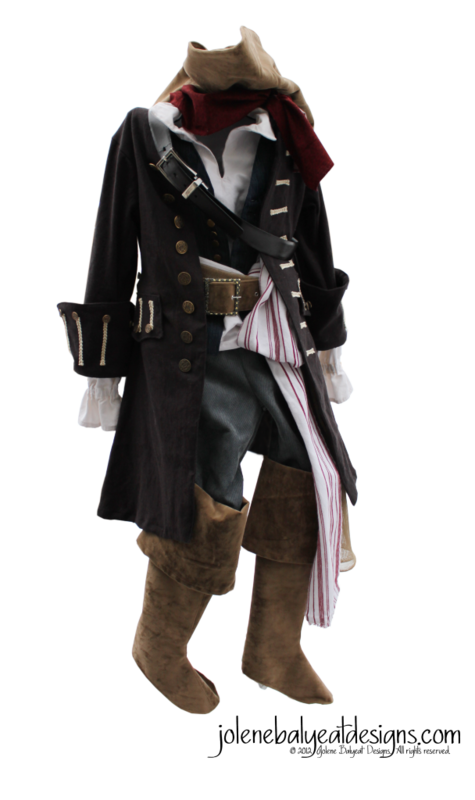 This pirate costume was just such a project. It started when I met a very theatrical little boy who lives across the street. He has a gift in drama, and can do the best impersonation of Captain Jack Sparrow that I have ever seen. Almost every time I see him he is in a different costume, playing a different role. Pretty impressive for a six year old! So when his pirate-themed birthday invitation came, I knew he had to have the proper attire at his disposal. Fortunately, I found a Simplicity 3644 pattern on eBay that fit the bill perfectly. 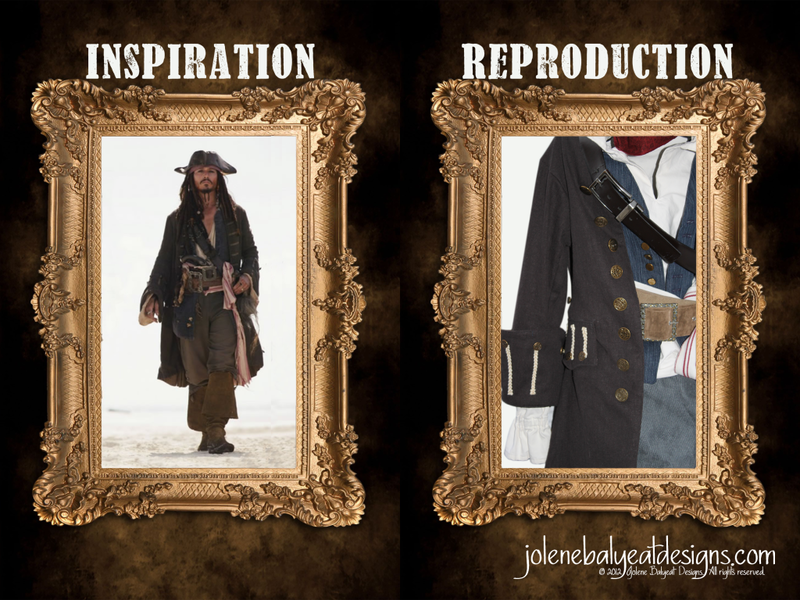 After much research about the actual costume worn in the movie, some additions to ensemble, and somewhere between 50 and 60 hours and 30 buttons later, here is a portrait of the Jack Sparrow costume’s inspiration and finished reproduction.